Bodybuilding and eating meat have always been thought to go together like bread and butter. However, too much meat in your diet can lead to heart disease, kidney disease, osteoporosis, and cancer, according to the American Association for Cancer Research. For strength athletes, the recommended amount of protein per pound of body weight is generally between 0.7 and 0.8 grams. If you’ve been shooting for a gram of protein per pound of body weight–or more–you’re overdoing it. Studies show that people who eat too much meat are 20 percent more likely to develop cancer, especially if they eat a lot of red meat. Pancreatic cancer, in particular, has been linked to heavy meat consumption. Meat also contains lots of saturated fat and cholesterol, which can lead to heart disease. Processed meats, such as hot dogs, often contain nitrate, a preservative that may become carcinogenic when heated to high temperatures during the cooking process. All meats may form carcinogenic heterocyclic amines, or HCAs, during high-temperature cooking. Marinating meat in vinegar, or microwaving it before cooking, can help reduce the number of carcinogenic HCAs in meat. However, meat may also contain high levels of hormones, which can trigger reproductive problems and early-onset puberty in children, yikes! While vegetables aren’t typically known for being a great source of protein, there are some sneaky ones out there that contain a decent amount. 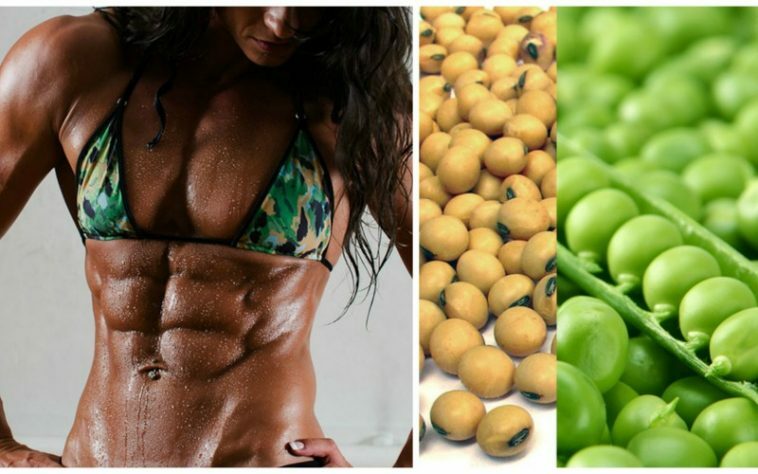 Before we dive into the list of high protein vegetables, keep in mind that plant proteins are ‘incomplete’ proteins, meaning they don’t contain all of the essential amino acids. To make sure you get the different types of amino acids you need, make sure to combine these veggies with whole grains. Edamame is super tasty and makes a healthy appetizer or snack. If you can, opt for organic edamame, since the majority of soybeans in the US are actually genetically modified and grown with lots of pesticides. You can try frying it along with scallions, eggs, and asparagus. 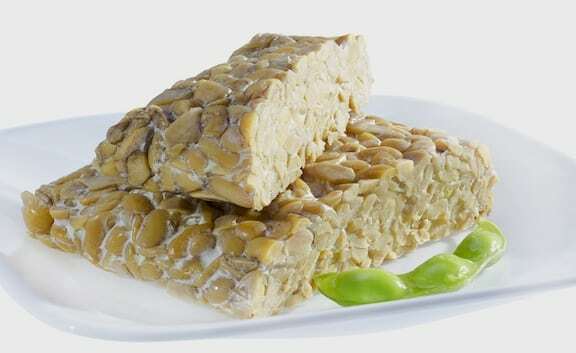 Tempeh is made from fermented soybeans and mixing them in a dense cake that can later be fried in a pan like tofu or it can be sliced. It’s easily chewable, feels very nutty and has more fiber and protein in comparison to tofu. Since it is fermented, it can be more digestible for some people. 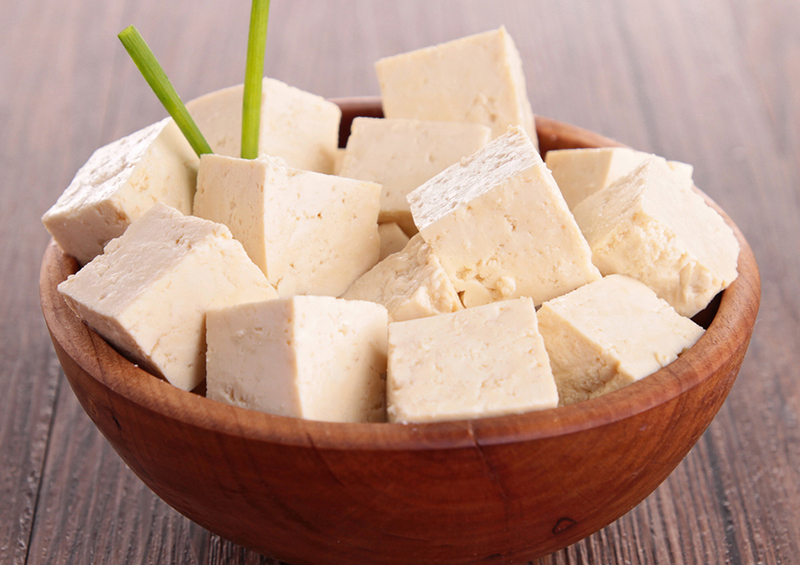 Tofu is a vegetarian staple, but even non-vegetarians can enjoy this delicious food. It’s light and flavorless, which means the opportunities for cooking it are endless! You can literally make it taste like whatever you want.. It’s made from curdled soy milk that can be fried in a pan, sautéed and stirred or sometimes scrambled. It might not be as full of protein as the tempeh is, but the taste can be more tolerable to some. Always go for the organic types to avoid GMO soy and nasty pesticides. Lentils are low in calories, have lots of fiber and large amounts of protein which can be turned into a side dish filled with nutrients like a veggie burger or sometimes mixed into a sauce or dip. Lentils have also been proven to decrease cholesterol levels and decrease heart disease risk. These beans have a high content of fiber, folate, potassium, vitamin B6 and various types of phytonutrients. They can also be made into brownies, here’s a great recipe! Lima beans have been very common in our meals when we were kids. But that’s no reason to neglect them as an adult. Besides having high amounts of protein, lima beans are also rich in the amino acid leucine, which plays a major role in the protein synthesis in muscle tissue in adults. Peanuts are an excellent snack and peanut butter is the classic comfort food for kids, but you can also add it in lots of others foods like pizza. Peanuts and peanut butter can also help decrease your appetite and make you eat a lot less during the entire day, contributing to weight loss. 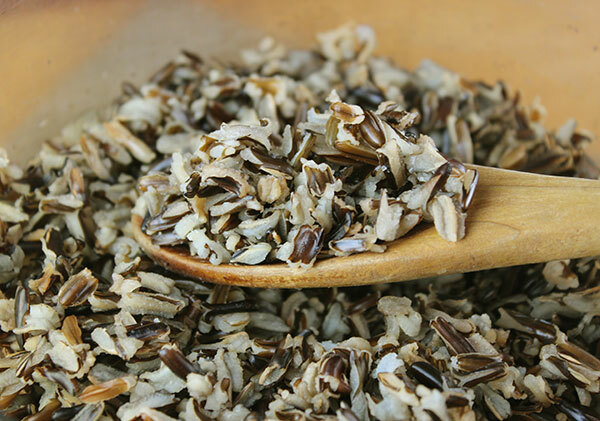 Wild rice is one of grains richest in protein and whenever you are at a doubt what grain to eat you should always opt for white rice. It has a chewy and nutty texture and can be very satiating. You could try making a casserole with it and add goat cheese and cranberries. Chickpeas are an excellent source of both fiber and protein which makes it an ideal combination for a healthy and tasty dip. You can try spreading it on a slice of bread instead of mayonnaise or serve it with along with various vegetable slices. 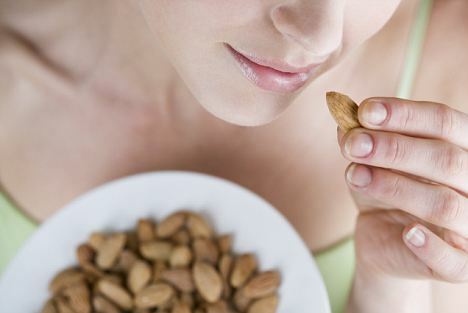 Besides being filled with protein almonds also have high amounts of vitamin E which offers great benefits to your hair and skin health. They can also satisfy around 60% of your daily needs for magnesium, which will help you with your sugar cravings, it can decrease PMS cramps, increase bone health and decrease soreness in your muscles as well as spasms. 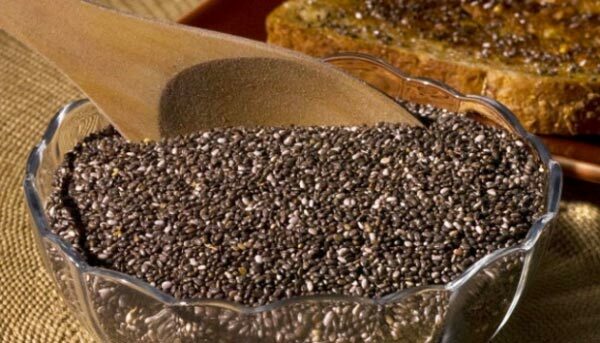 Chia seeds pack an enormous amount of protein in such a small size, and they are also rich in linoleic acid, which is a type of omega-3 fatty acid found in plants. Plus, omega-3 acids help you trigger the release of the hunger-regulating hormone leptin, in charge of signaling your body to start burning off fats instead of depositing them. 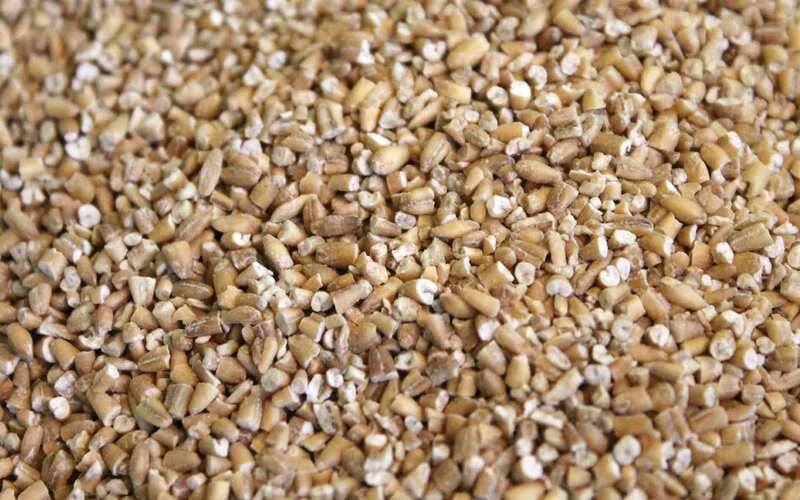 Steel cut oats are not only a rich source of protein, they have a lot lower glycemic index in comparison to rolled oats. That means that they don’t cause big blood sugar spikes, and chances are you’ll be much more satiated and will have fewer cravings after you’ve finished eating them. You can add all sorts of fruit like peach, blueberries, cranberries or various veggies. Besides having a moderate amount of protein, cashews provide around twenty percent of the daily recommended magnesium intake, as well as twelve percent of the daily recommended vitamin K intake. These are two crucial nutrients when it comes to bone health and growth. Pumpkin seeds are an excellent choice when it comes to having a healthy protein snack and they are filled with lots of minerals and provide half of the daily recommended magnesium intake, as well as zinc which boosts the immune system, omega-3 fatty acids, and tryptophan which can improve sleep quality. Potatoes contain a decent amount of protein and are an excellent side dish. 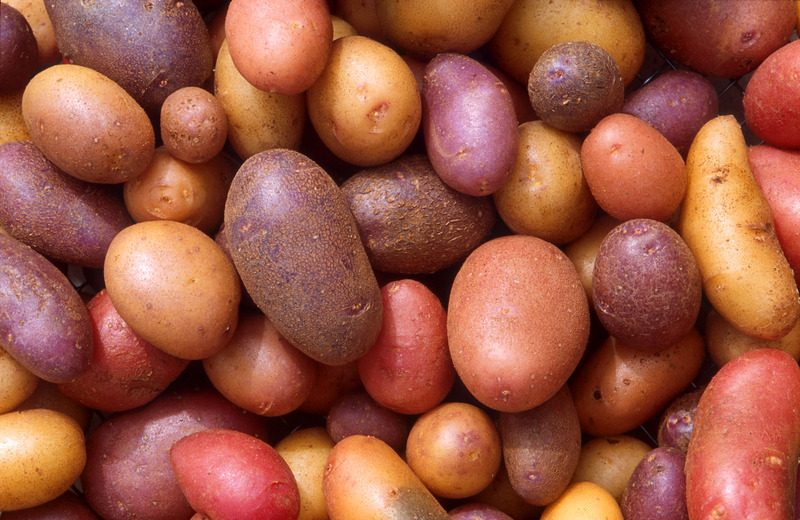 They are wrongly thought of as having a few nutrients, but a medium-sized potato has around 5 grams of protein and provides twenty percent of the daily recommended magnesium intake which offers numerous heart health benefits. Four grams may not seem a big amount to you, but considering this is a green vegetable, it sure is. And spinach salad is not the only thing you can make with it. Cooking it with cheese is one way you can increase its content of protein and make it a lot more delicious. The same as potatoes, corn is often looked down upon as plant that hasn’t got great nutrition qualities, but if it’s served along with legumes and veggies rich in protein, it can make for a very nice and balanced plant-based meal. Always opt for organic, non-genetically modified fresh types, since most of the corn sold in markets has been modified genetically. Avocados are super tasty, creamy and incredibly satiating, all of it owing to its high content of monounsaturated fatty acids and a small amount of protein. You can add it to guacamole or add it into a mojito smoothie. Broccoli offers an amazing amount of fiber and has an amazing amount of protein considering it’s a vegetable. Additionally, it’s been shown to have amazing anti-cancer compounds including sulforaphane. 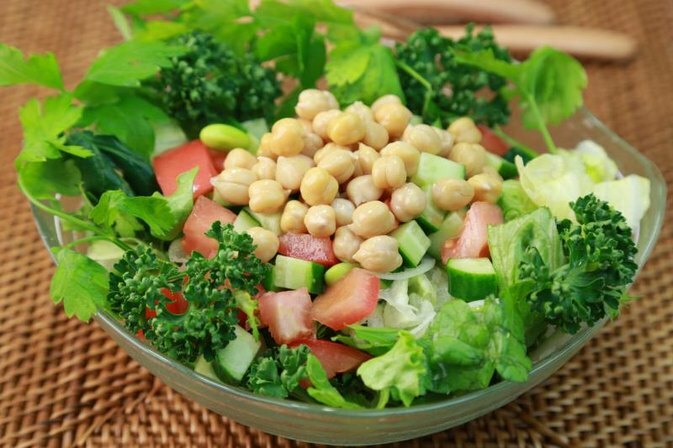 You can increase your intake by preparing a salad with broccoli and peanuts which combine two plants rich in protein in one easy-to-cook meal. Brussels sprouts are needlessly scorned for having a not-so-great taste, especially once frozen, but when it comes to having lots of nutrients they pack a powerful punch. Besides protein, they also have large amounts of vitamin K and potassium. If you liked this article, read more and share with your friends! Avoid Knee Surgery With This Delicious Cinnamon Pineapple Smoothie Recipe!